For the third year in a row, the Detroit Zoo’s Green Team has partnered with a Detroit dog rescue called C.H.A.I.N.E.D. 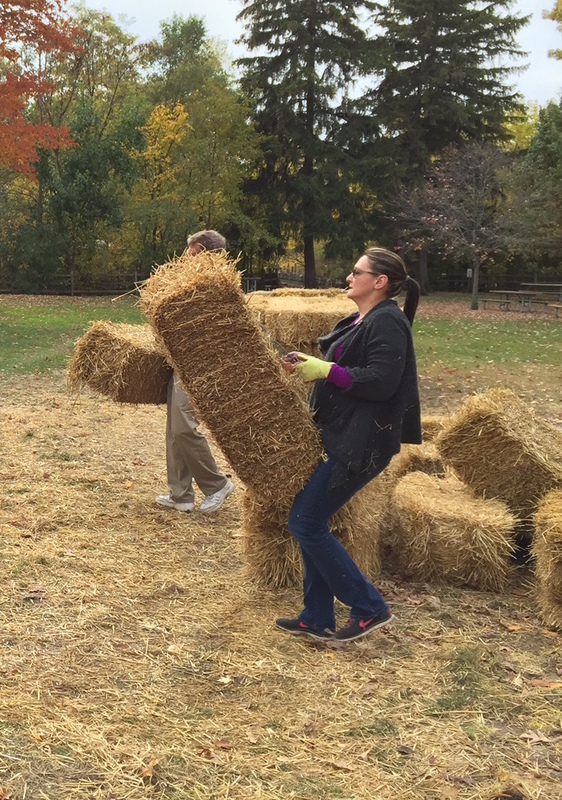 (Continue Helping Animals in Need & Educating Dog owners) to upcycle bales of straw from our annual Halloween celebration, Zoo Boo. This year, we also began a partnership with Dog Aid. We donated more than 150 dry bales of straw to these organizations this week, which will be used throughout the winter to insulate outdoor shelters for dogs left outside by their owners. Both organizations also take the time to properly educate pet owners on the risk of leaving pets outdoors in the winter, and in some cases they will rescue animals they believe are in dangerous situations. By simply donating these bales of straw for reuse, the Zoo is greatly extending the useful life of this material, while potentially saving a dog’s life. Additionally, C.H.A.I.N.E.D and Dog Aid are able to redirect the approximately $700 they are saving on straw between them that can be used to purchase other supplies, such as dog food. 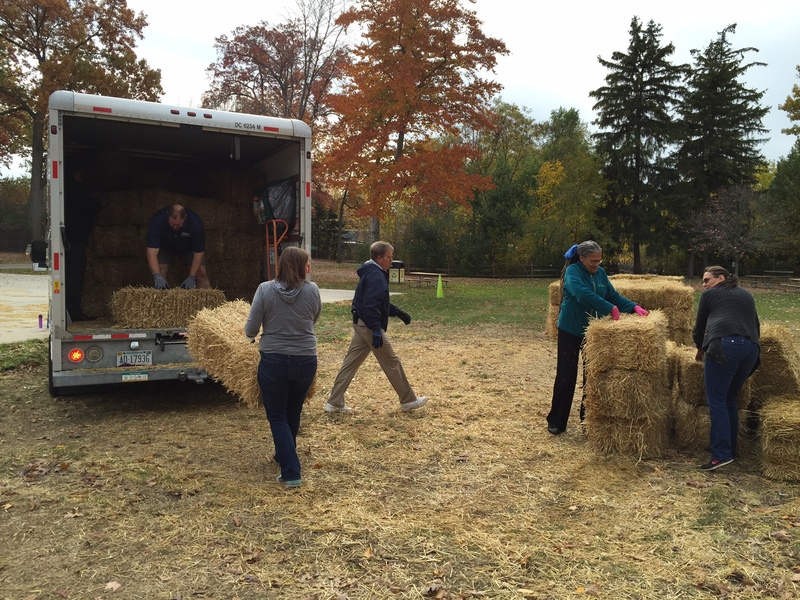 In addition, the Zoo donated any remaining bales of straw that might have been exposed to the elements to Detroit Dirt for composting. This effort reduces waste while also educating the public, both of which are elements of our Greenprint initiative. Among the many steps on our Green Journey, the Zoo has a bold goal to be zero waste by 2020. We are continuing to develop important partnerships like these in order to be successful on our journey. We would love to know how you’re upcycling fall decorations at your house. Follow the Detroit Zoo on Pinterest to learn more about the different ways to upcycle, such as turning your fall pumpkins into birdfeeders.